Computer Science For All @USCTO #CSforAll @POTUS « Adafruit Industries – Makers, hackers, artists, designers and engineers! 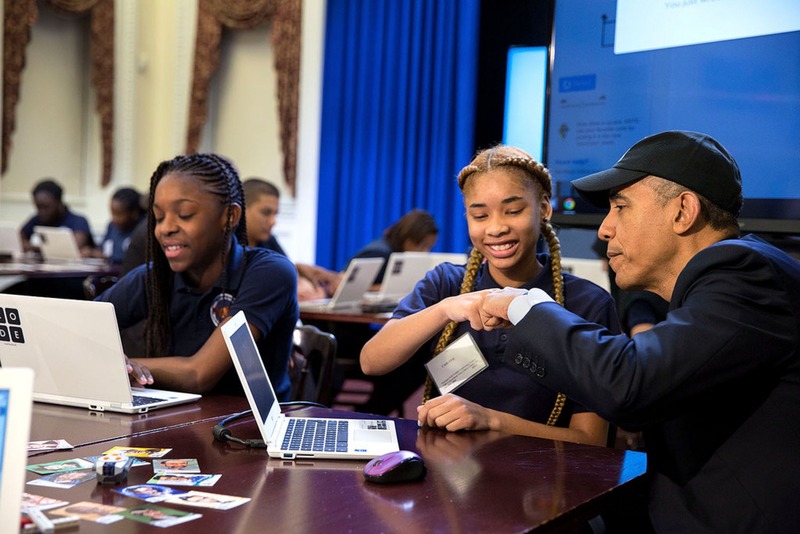 Computer Science For All | whitehouse.gov. Computer Science for All is the President’s bold new initiative to empower all American students from kindergarten through high school to learn computer science and be equipped with the computational thinking skills they need to be creators in the digital economy, not just consumers, and to be active citizens in our technology-driven world. Our economy is rapidly shifting, and both educators and business leaders are increasingly recognizing that computer science (CS) is a “new basic” skill necessary for economic opportunity and social mobility. CS for All builds on efforts already being led by parents, teachers, school districts, states, and private sector leaders from across the country. The CTO of the USA visited Adafruit recently!